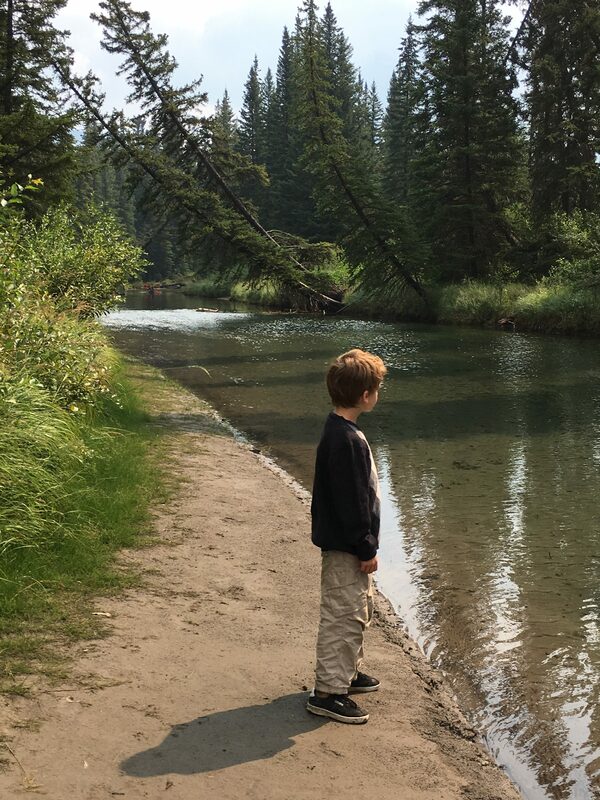 My son’s first hiking experience was the Fenland Trail in Banff at the age of 2. 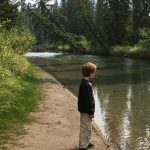 I had decided that I wanted to get Matthew out there, knowing that starting early with kids was the key to getting them to know and enjoy things. When introduced at a young age, it becomes natural and what they know. 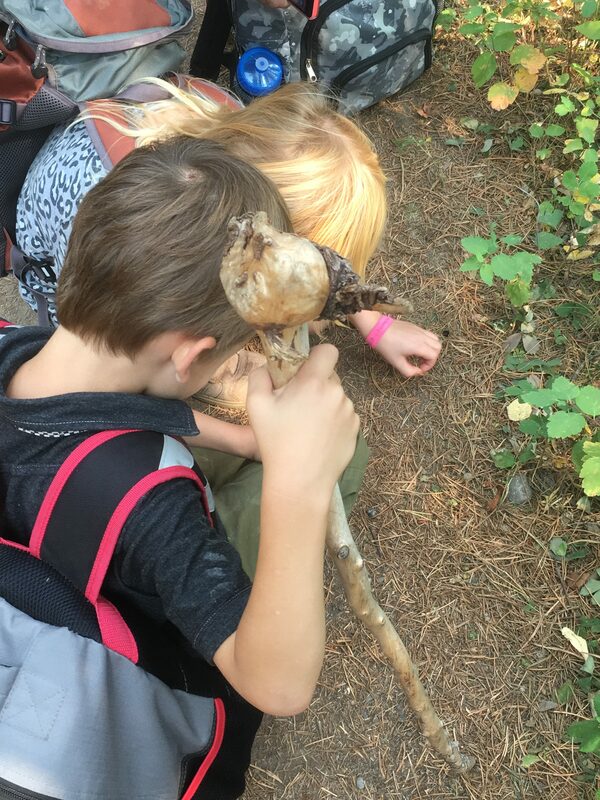 There is also value in getting kids outdoors and nurturing their innate curiosity about nature and their connection with the environment. 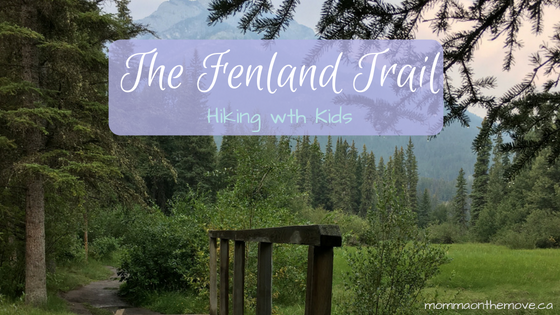 The Fenland Trail, which is just on the outskirts of the Banff town site, was the perfect introduction to hiking as it is a short 2 km self interpretive loop trail, that is mostly flat. 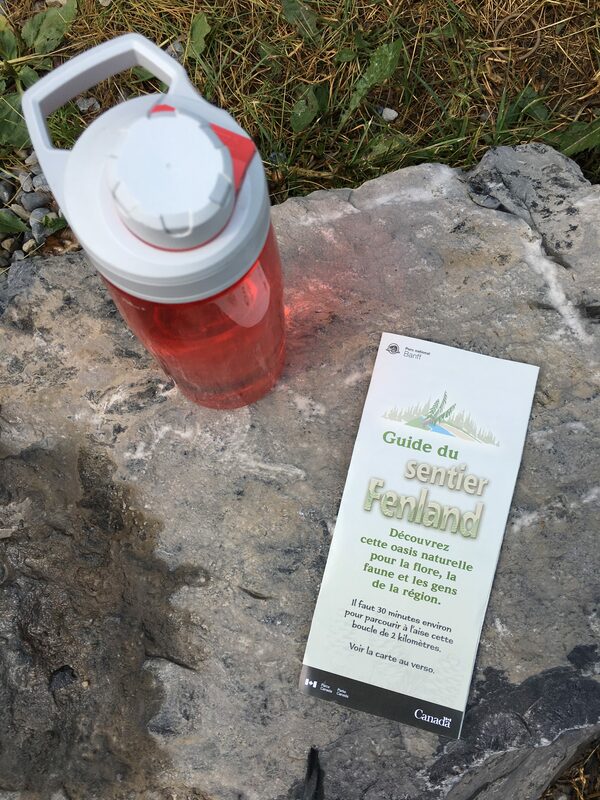 There is a self guided pamphlet available at the trailhead that highlights 8 markers along the loop that teach you about the lifecycle of the montane forest. Not only does this help keep kids engaged as they are often looking ahead for the next post, but it teaches them about nature and about the environment of the trail that they are on. Plus the trail itself is beautiful. 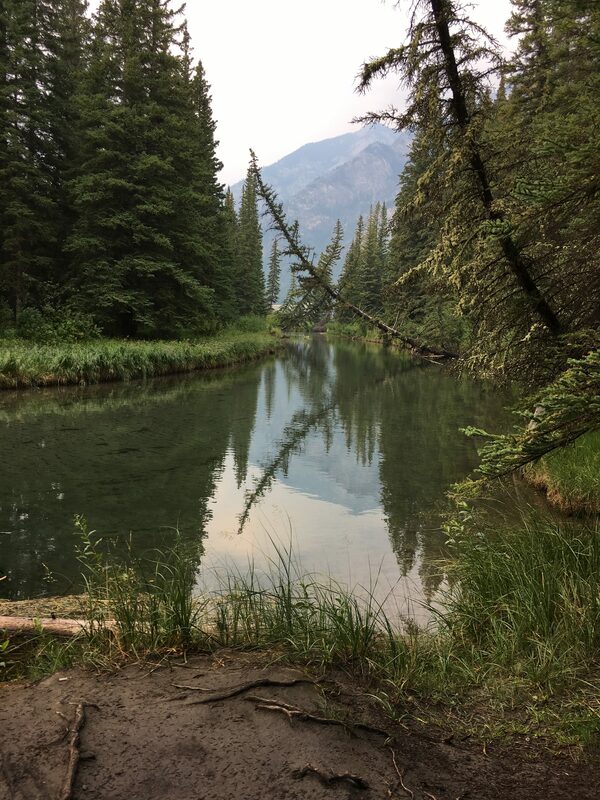 It winds through a white spruce forest along the eastern edge of the Vermillion Lakes marshland; and part of the trail also runs along the Echo & Forty Mile Creek. 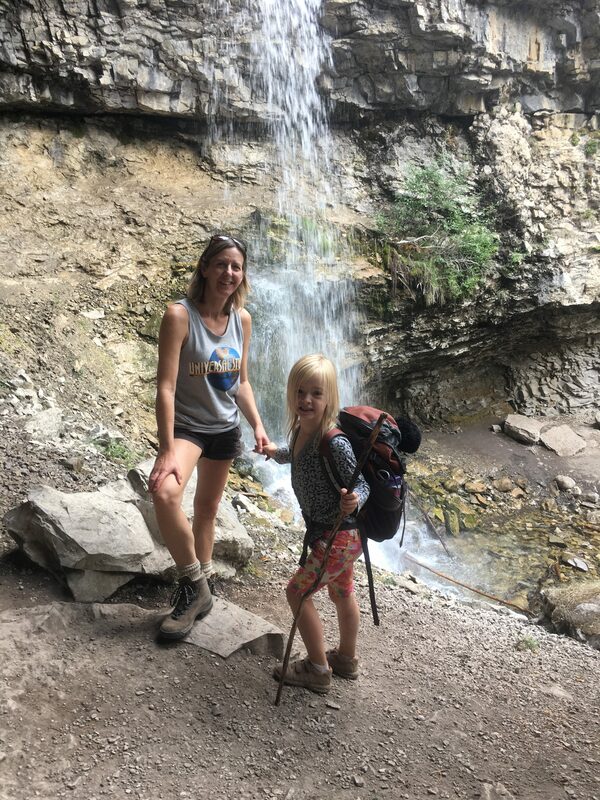 And I don’t know about you but I always love a trail that has some kind of water along the hike. 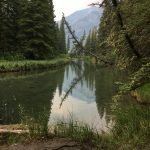 It just adds something to it listening to the trickling water as you’re hiking along. 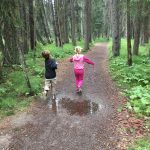 There is also the opportunity to view wildlife on this trail, as you may catch a glimpse of a muskrat or busy beaver in the creek. 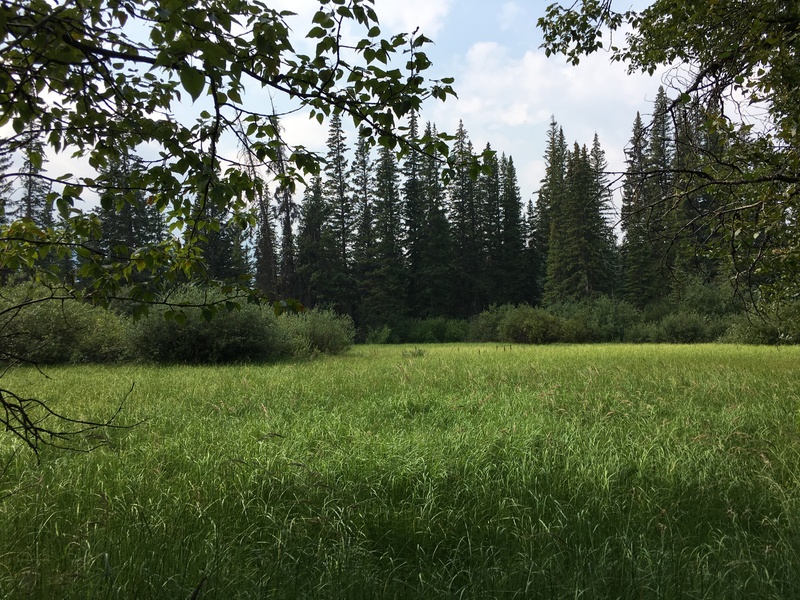 Elk and deer in the open fields and a plethora of songbirds chirping in the background, such as the black capped chickadee and gray jay. 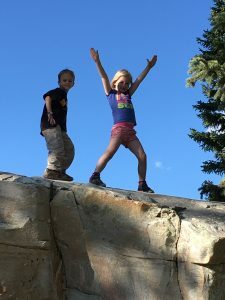 I love this trail for young kids and toddlers because even though it is about a 30- 40 minute hike, you can go at a nice leisurely pace, allowing the kids to stop and pause along the way, exploring and checking things out. Playing by the creek or sitting at one of the benches along the trail for a break or a snack. You don’t have to rush, you can take an hour or more if you want. 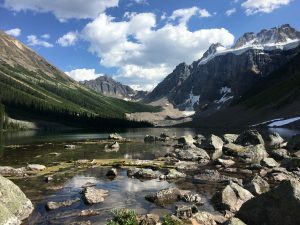 I think the first time we went it took us 2 hours! but that was fine, Matthew finished the hike having enjoyed it and feeling successful (and yes he still had energy to burn). 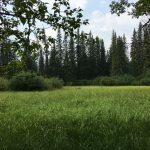 One thing that you do need to keep in mind is because it is close to both the creek and the marshlands the mosquitoes can be abundant. 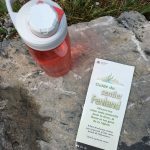 So make sure you take your bug spray or natural bug repellent, so you can enjoy the trail without swatting at the bugs! (If you do get bitten you can use Lavender and Peppermint essential oils on the bites to reduce the inflammation and itchiness). 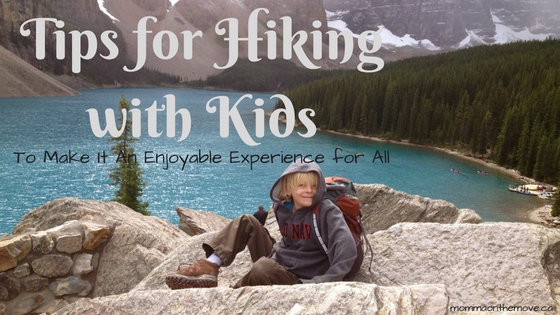 There are many benefits of taking your kids out hiking and the Fenland Trail is an excellent place to start! 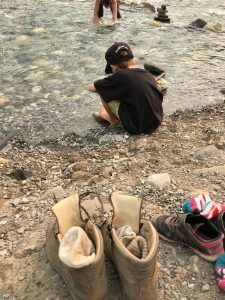 Once you have captured their desire to hike more and nurtured their curiosity, it will be easy to move on to longer hikes with maybe even a little bit of elevation gain. 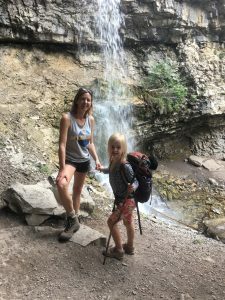 As you do progress the kids on their hikes, remember to keep these tips in mind when hiking with kids and most of all have a good time! 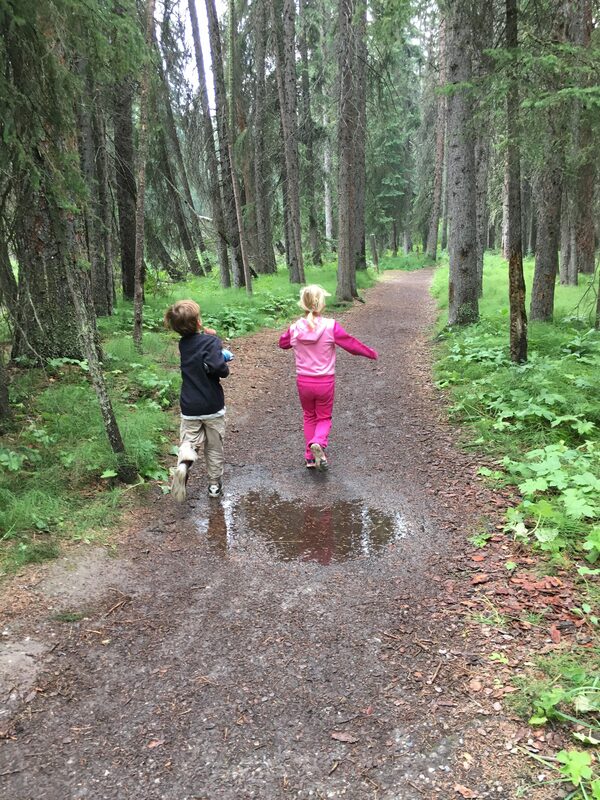 Check out other great Alberta hiking trails for kids, like the Alder Trail near Bragg Creek.